EDIT: oopsy, my previous title indicated a giveaway, but this isn’t a giveaway post – sorry to mislead anyone! 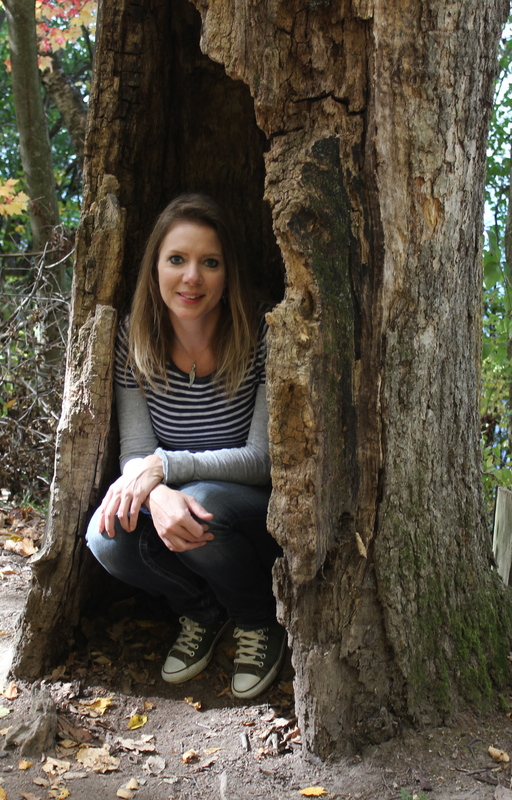 I just forgot to change the title of my post before publishing it – doh! 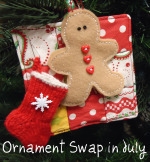 I hope everyone has sent and received their ornament swaps. I also hope everyone has added pictures of your goodies to our Flickr group. Stop by to check out all the goodies that were exchanged this summer! 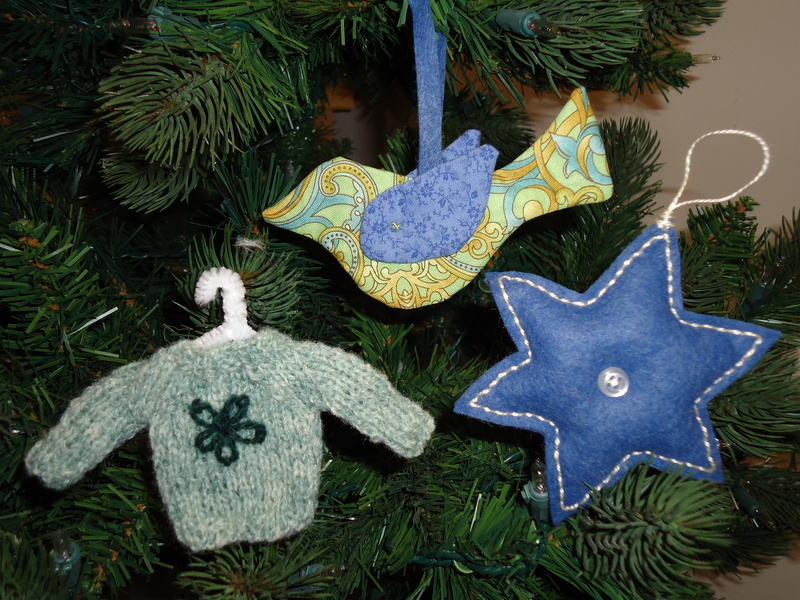 I finally remembered to share with you what I made for my partner: a knitted mini sweater, a fabric dove and a felt star. I included a couple fat quarters in her package as a bonus. 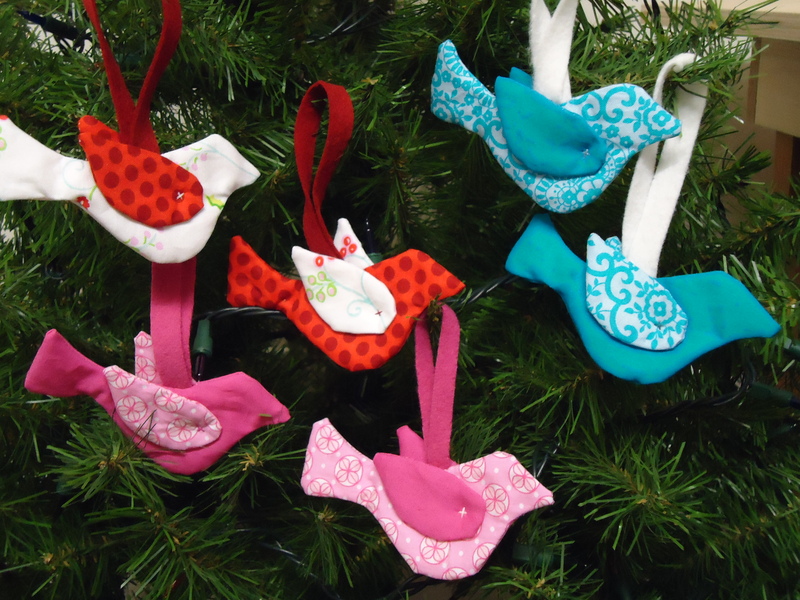 While I was at it, I made a few extra bird ornaments to have on hand for future gifts or exchanges. I used this simple and quick tutorial from The Purl Bee to make the birds, and I used the pattern from this book to make the knitted sweater. I think they always have the best projects and tutorials! Today is my first day of class for computer graphics, so I’m excited to start learning how to use Photoshop and Illustrator! SO sweet! I just love them 🙂 In fact, they’re still sitting on my mantle because they make me smile! Also-computer graphics? FUN!! Happy first day of school!! I cannot seem to get my pics to go into the group on Flicker!! Urggg! Love the ornaments. I went to flicker and looked to . Everyone did a great job. Hope you had a geat day at school. I don’t think my head could take all that up date learning. I really am just learning the computer. What a lovely exchange! The little birds are just darling. I’ll have to try the tutorial! Hope you had a super first day of school! 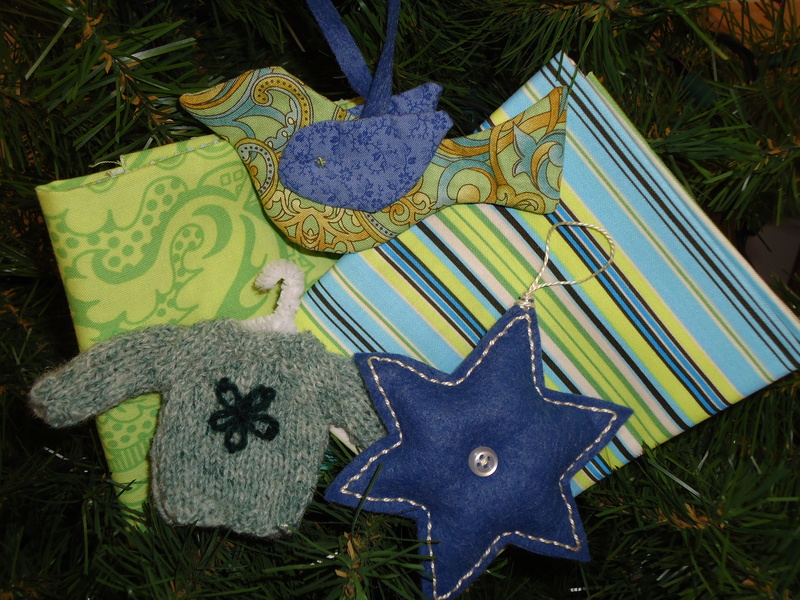 Gorgeous ornaments!! I love that cute little sweater! Have a lovely merry happy week sweet friend! Love to you! Those ornaments are wonderful! Lucky swap partner!